Food historians believe soup is probably as old as the history of cooking. The act of combining various ingredients to create a filling and easily-digested food dates back centuries. January is National Soup Month. It shouldn’t surprise anyone that delicious, warm soups are popular in this typically chilly, winter month. But instead of Tomato Soup or the ever popular Chicken Noodle, let’s get weird. Here are the weirdest soups from around the world. This Polish Soup is common as the first course for Sunday dinner. Some versions of this soup use three (or more) types of meat in this including chicken, veal and beef, vegetables, spices and herbs. Simmer all the ingredients in a pot for a couple of hours. Three Meat Broth soup is served with shaped noodles or dumplings. This soup is a specialty soup made in Kashubia and Greater Poland. Filled with duck blood, clear poultry broth, spices, dried fruits, fine noodles or little dumplings, this soup has some of everything. This soup was traditionally served to men who had asked fathers for their daughter’s hand in marriage, and was told “no.” It’s a wonder why a soup filled with the blood of ducks and other various ingredients would help sooth the sad soul of a man in love. This soup comes from the Chagga tribe that lives at the base of Mount Kilimanjaro. This tribes livelihood is based on their agricultural output of bananas and coffee. Mix those together with earth, also known as dirt, and there you have it, Soup Kiburu! They say the “earth” adds a saltiness and earthy flavor that helps to season the soup. 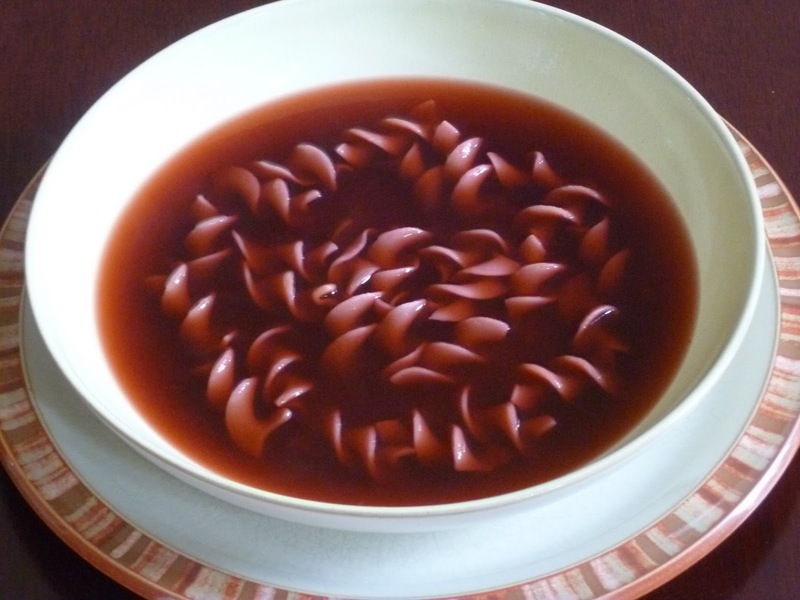 This very old, very pink soup is common in the summertime. The ingredients come together with beets (leaves and stalks,) buttermilk or kefir, acid beet juice, fresh dill, chives, chopped cucumber, and hard-boiled eggs. Crayfish tails and veal meat were traditionally served with this soup, but that is now considered a luxury. This is a Polish soup and mainly eaten in the summertime, as the main course. This soup is made with strawberries, blueberries, and raspberries. It’s served with noodles or croutons. The tradition of this soup is waning a bit with more of a variety of fare available. 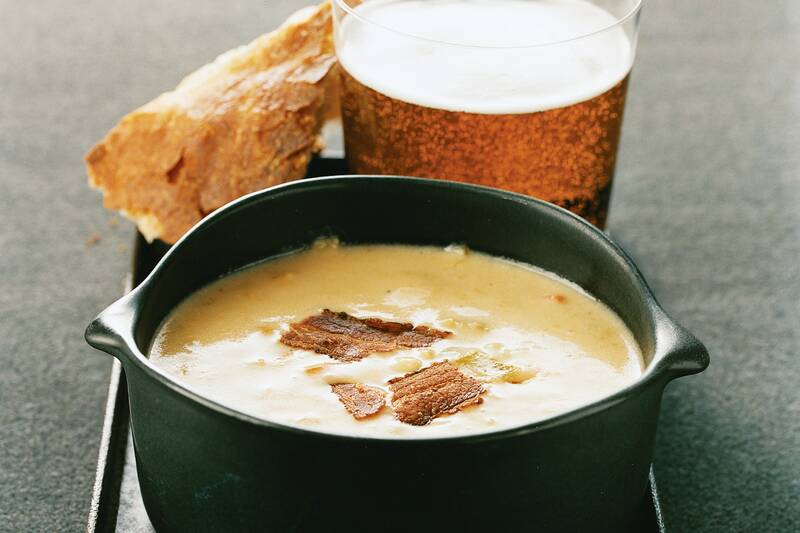 Beer soup was originally invented in Germany but over time, it became popular throughout Europe as well. Typically made with beer and fried flour, some recipes also use potatoes. And if you travel to Wisconsin, you’ll find beer soup at almost every bar and grill, and restaurant. But Wisconsin beer soup will always be filled with lots and lot of cheese. 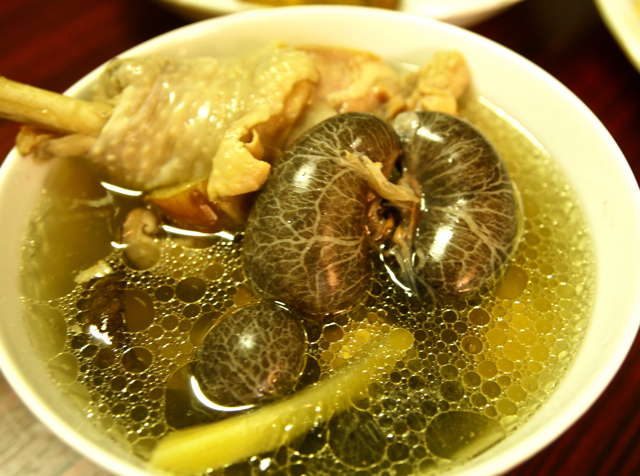 Bird Nest Soup comes from the nests of Swiftlet birds and is from China. This soup is considered a delicacy (which you will soon see from its price tag.) This soup is made from the nest and therefore, almost entirely because of the birds saliva. The nest dissolves and becomes like a gel with water. None of this makes you want to try this soup, does it? What if it’s said to improve focus, llibido, asthma, the immune system, and more? Want to try it now? Besides all the bird spit, the cost of this soup is outrageous! One bowl will cost between $30-$100 and if you want to take some home, expect to pay more. A kilogram of this soup is $1000. This traditional Mexican soup is a favorite of many, despite the ingredients. It’s widely known for its powers to cure a hangover, so if you drank a little bit too much on New Years, and you’re still feeling rough, make it for dinner and reveal its magical powers. Just remember to throw it in the crockpot in the morning because this soup has a hefty cook time, anywhere from 7-10 hours to ensure that the meat cooked well and tender. This soup is made out of cow stomach. This is enough to gross out most people. However, the rest of the ingredients are onions, cilantro, oregano, chilis and hominy, very edible. According to many, the extended cooking time makes this soup absolutely delectable. Any takers? 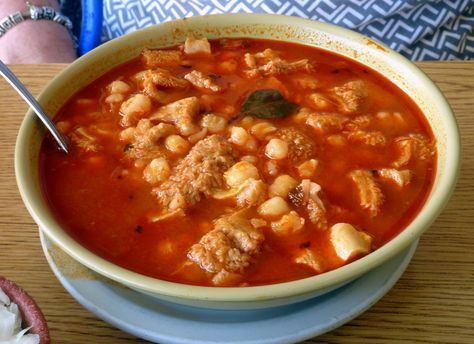 This soup is like Menudo in that many parts of the animal are used in the preparation of Supu. For breakfast version, this soup is made with goat lungs, heart, liver, head, cow stomach, intestines and tongue. You’ll consider yourself lucky to get a cow hoof or tail thrown in. So I said I wouldn’t talk about Chicken Soup but this one, well, it surely isn’t your typical chicken soup. This soup is made from broth, vegetables and chicken testicles. Apparently, chicken testicles are creamy on the inside (yuck) and very similar to tofu but they have a tighter skin that’s more like a sausage. Others say it reminds them of an undercooked egg. This soup is said to have good health benefits and you can buy black or white chicken testicles for your soups. Yup, you read that right. 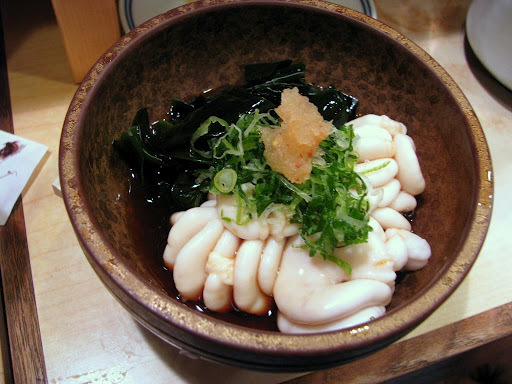 This Japanese soups is literally made for the sperm sac of male codfish. Also known as Shakiro, these sacs are served raw or in a soup. If you cook the sperm sac, it heats up and turns into a custard-like consistency. Much like other Asian cuisine, eating these sperm sacs are said to give you stamina in bed. What’s the weirdest soup you’ve ever had? Let us know in the comment section.